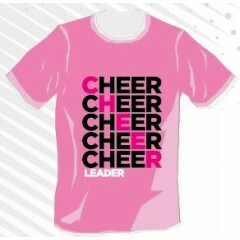 COMFORTABLE AND STYLISH This "CHEER" T-Shirt is ideal for training, and can be personalised t..
Cheerleading t-shirt, pink sparkly print on an baby pink t-shirt. Seamless twin nee.. 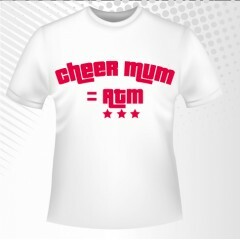 COMFORTABLE AND STYLISH This "EVOLUTION" T-Shirt is ideal for training, and can be personalis.. 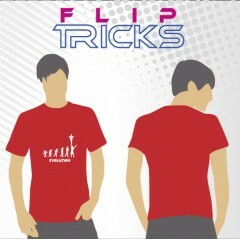 COMFORTABLE AND STYLISH This "FLIPTRICKS" T-Shirt is ideal for training, and can be personali..
Fliptricks we bust ours so we can kick yours shirt Seamless twin needle collar. Tap.. COMFORTABLE AND STYLISH This "Hit Hit Pull" T-Shirt is ideal for training, black or white t-s.. 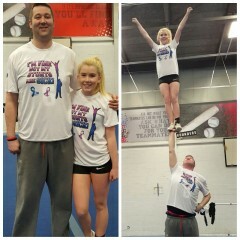 I'm fine, But my stunts are sick! Designed by Matthew Elder. 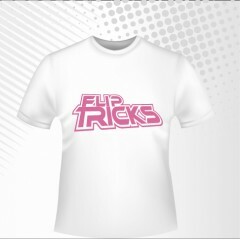 For each of these t-shirts s.. 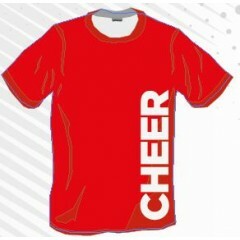 COMFORTABLE AND STYLISH This "PrACTice like a champion" T-Shirt is ideal for training, black .. 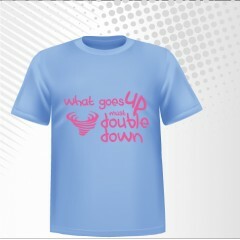 COMFORTABLE AND STYLISH This "What goes up must double down" T-Shirt is ideal for training, a.. 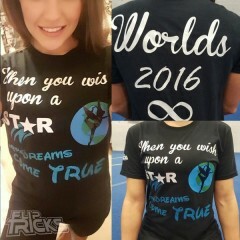 When you wish upon a star, Your dreams come true Designed by Sasha Phillips This was desi..